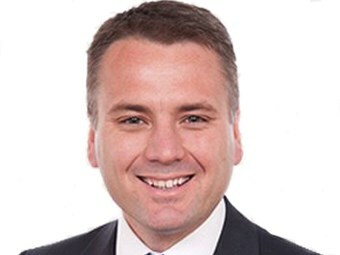 New Australian prime minister Malcolm Turnbull cast Jamie Briggs into the newly created role of minister for cities recently. Bus Industry Confederation (BIC) executive director Michael Apps says the creation of a minister for cities was a watershed announcement and a welcome move by Federal Government. "It is a major change in Coalition policy and reflects the new Prime Minister’s commitment to a government for the 21st century in which cities will be the places that more than 80 per cent of Australians will live," he says. "Cities that will need as Mr Turnbull will require investment in all forms of transit options including public transport and traveling by bus, which he is well used to on his 333 service in the eastern suburbs of Sydney." The creation if this new ministerial role is seen as a reflection of Turnbull’s agreement that the Federal Government does have a role to play in how efficiently Australian cities function. "For the first time we have a tri partisan agreement that the Federal Government has a direct role in our cities and public transport and how they function," Apps says. "Shadow minister for transport Anthony Albanese recommitted the Australian Labour Party to cities and public transport in his Light On the Hill speech on Saturday night in Bathurst and the Greens continue to support the role of public transport. "It is a great win and day for the many people who have worked with BIC over the past decade to achieve this outcome and commitment by the Federal Government." Tourism and Transport Forum Australia (TTF) chief executive Margy Osmond says she is pleased with the return of the tourism portfolio to the ministry and with the new minister for cities role. "TTF supports the appointment of Jamie Briggs as minister for cities and excited that the new prime minister has expressed the view that he is prepared to consider a role for Canberra in funding public transport, which is vital for national productivity," she says. "Our cities must be productive and liveable if we expect travellers from around the globe to come here and spend money." Prime minister Turnbull says he is confident the creation of this new role within the ministry of environment will see cities given the attention they deserve. "Now of course, we have a minister for regional development and the deputy prime minister, but cities have been overlooked, I believe, historically from the Federal perspective," he says. "We have to ensure for our prosperity, for our future, for our competitiveness, that every level of government works together, constructively and creatively to ensure that our cities progress. "That Federal funding of infrastructure in cities for example is tied to outcomes that will promote housing affordability." Favouring rail and light-rail over bus transit, Turnbull says, is not the answer and an integrated all-modes to the same end approach is required. "Integration is critical and we shouldn't be discriminating between one form of transit and another. "There is no ‘roads are not better than mass transit’ or vice versa, each of them has their place and infrastructure should be assessed objectively and rationally on its merits." Briggs will work with environment minister Greg Hunt to develop a new Federal Government agenda for cities in cooperation with state governments and city councils. Federal Government minister for infrastructure Warren Truss was also appointed deputy prime minister, as part of Turnbull’s cabinet reshuffle.